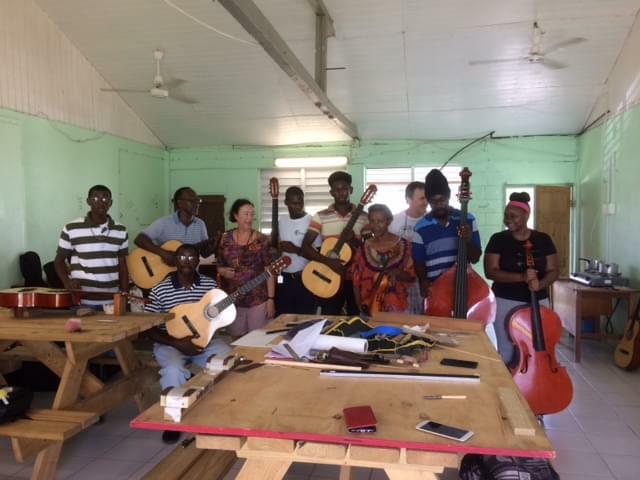 Violin makers Keith Graves and Rita Walker have returned from a trip to Antigua, where they were training people from Antigua and Barbuda to repair stringed instruments, in a project organised by Luthiers sans Frontières UK, which Ingles & Hayday is proud to support. 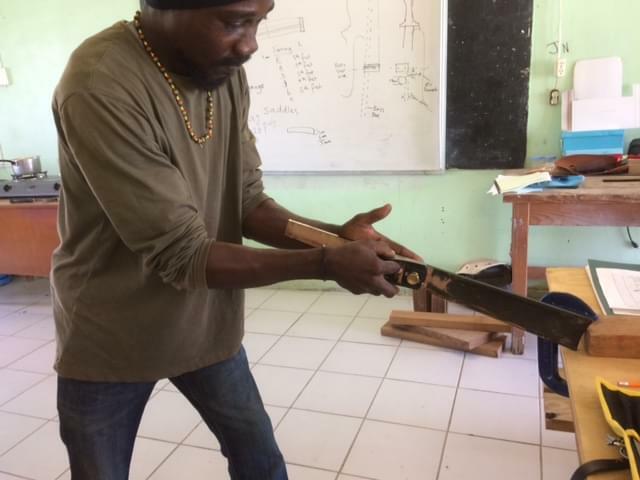 The aim was to provide some of the skills required to maintain the islands’ instruments. There are few stringed instruments there, and those that fall into disrepair are taken out of service, severely limiting the possibilities of musicians and students. The ultimate goal is to establish a permanent workshop with paid staff that will become a resource for all musicians in the West Indies. 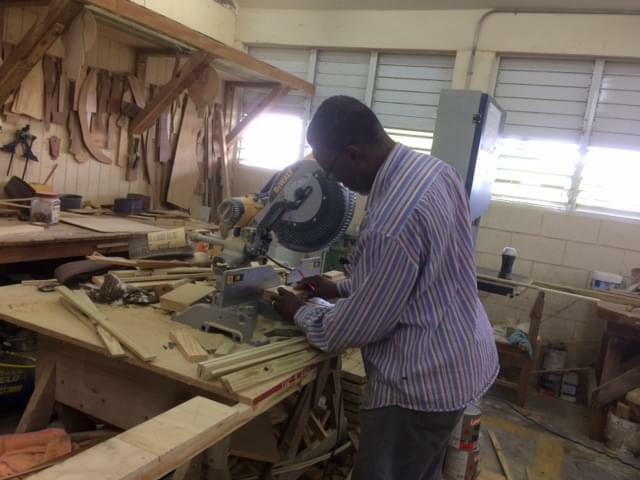 The makers were invited by the UK’s High Commissioner in Antigua, Karen-Mae Hill, and spent two weeks showing the volunteers some of the most common repairs and adjustments. 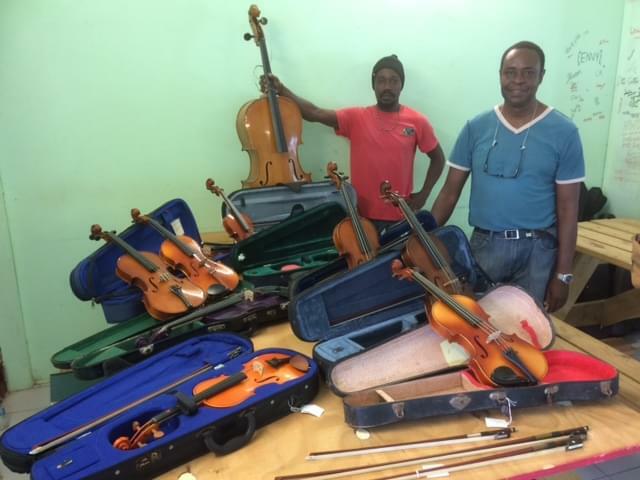 Many of the instruments they were working with were donated, including 100 guitars that were sent from the UK. 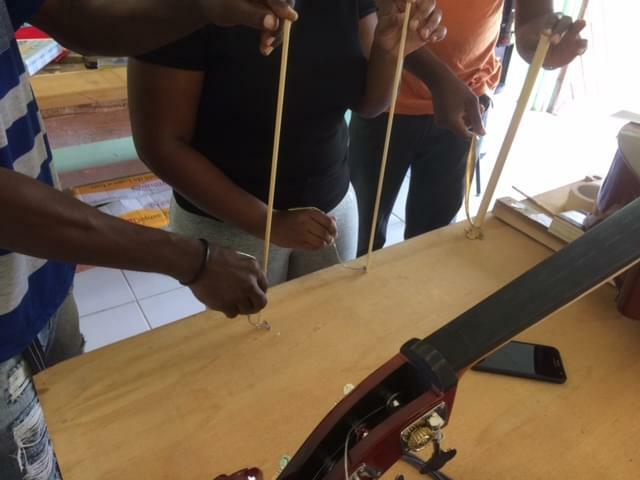 Based in a workshop in the Antigua Barbuda Institute of Continuing Education (ABICE), in the island’s capital, St John’s, Graves and Walker trained students, musicians and teachers, using a combination of demonstrations and hand-outs. They also took out tools, strings and materials that have stayed on the island, which will be used in supporting any continuing repair work. He said of the project: ‘Rita and I both felt that we achieved a good grounding for the students and also the Orchestra Board members who saw how difficult this kind of work is. We both hope that we can return to work with a small group of these students, once the issue of a permanent workshop has been resolved. We will stay in touch with the students, and will email information sheets through to them soon. Luthiers sans Frontières was founded in 2005 and sends volunteers to train violin and bow repairers in countries where they are needed. Read more here.